In order to have unified interfaces available, producers of optical fiber components agreed on standards which are continuously being further developed in response to demands and technical progress. 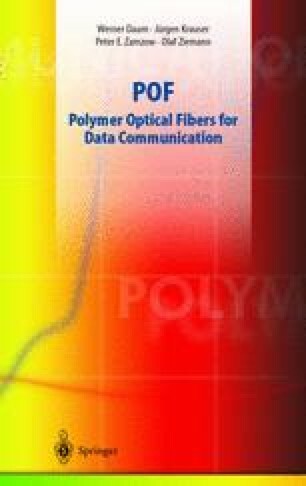 This chapter deals with the relevant specifications for the use of polymer optical fibers. Figure 9.1 provides an overview of the most important POF areas of application for data communication, for the existing standards as well as the recommendations for the method of measurement.